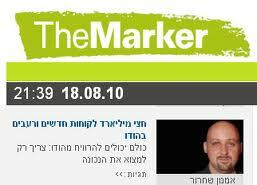 As reported by Yona Jeremy Bob of the Jerusalem Post, here, the Israel Central District Court recently awarded approximately NIS 6 million to Ma’ariv, holding that certain affiliates of The Marker, Haaretz’s business-focused publication, infringed Ma’ariv’s copyright by using some of Ma’ariv’s material on its website during the years 2000-2002. Ma’ariv sued for 15 Million, so the damages received are less than those sought. Also, not all defendants were found liable. The issue relates to The Marker including a round-up of what other papers were saying, where Maariv as a paper was accredited, but the individual journalists were not identified. Maariv won the case by noting that The Marker had argued similar infringements themselves, and thus were estopped from challenging the claim that such use is infringing. 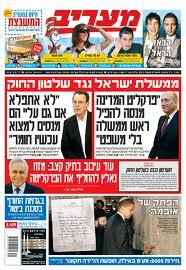 Maariv claimed statutory damages of 2o000 NIS per infringement, but the courts ruled 10000 NIS per case. We note that it is a well established principle that news facts are not copyright. I am wondering whether brief excerpts accredited to the newspaper cannot be considered fair use? We wait to see if The Marker appeals this. At the end of the day (pun intended – Maariv means evening) one would expect a fair amount of overlap in content of all Israel business papers.